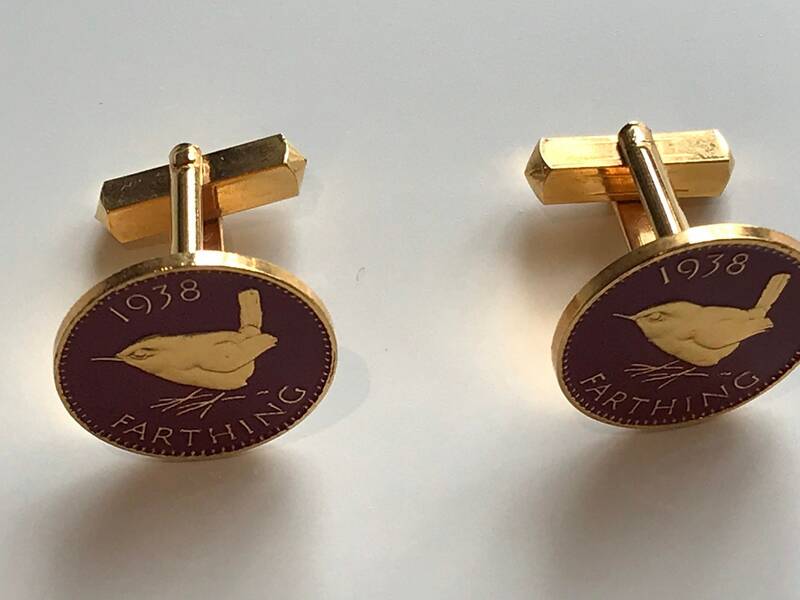 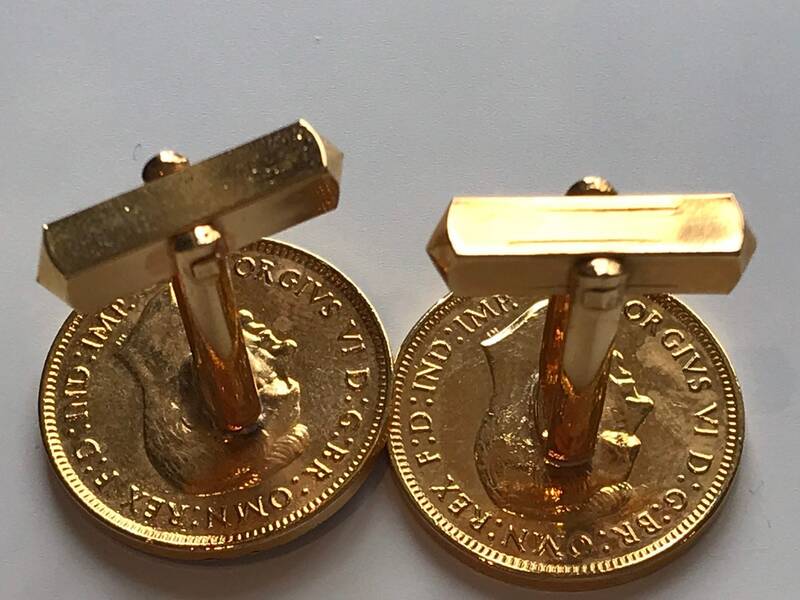 Here are a lovely pair of men’s cufflinks. 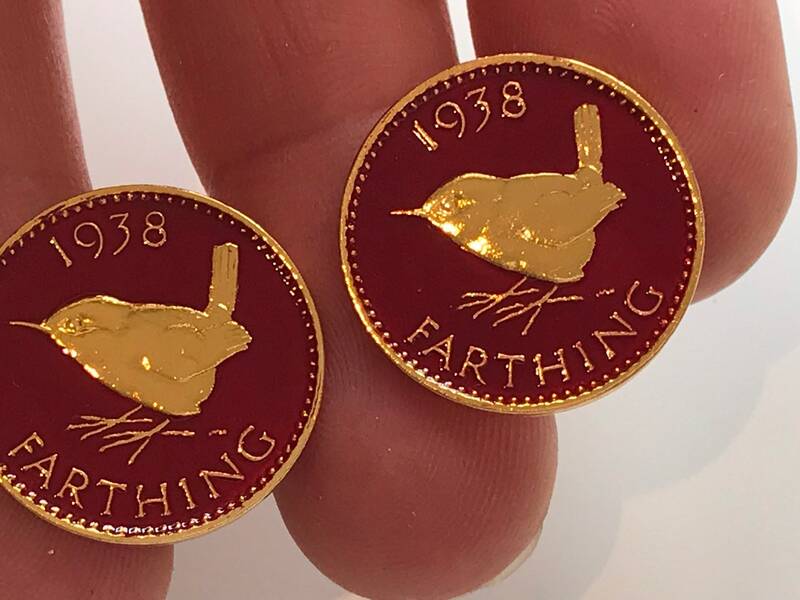 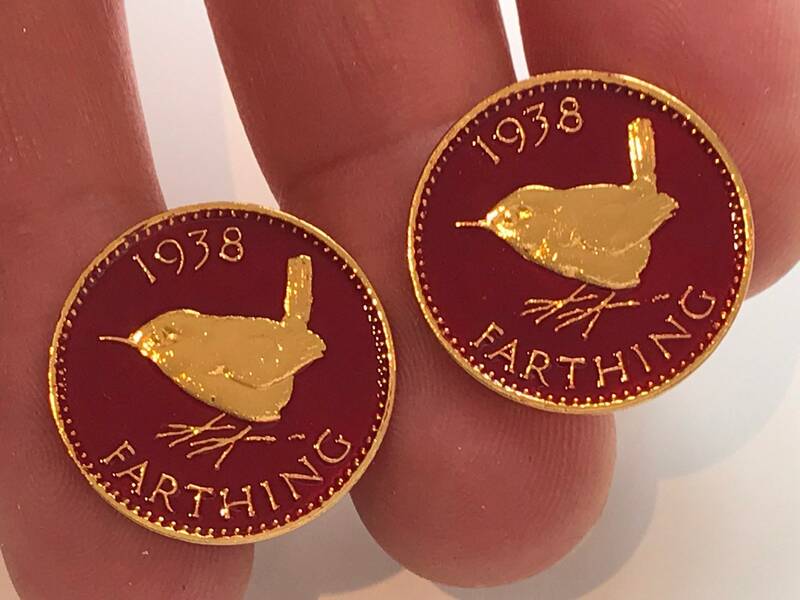 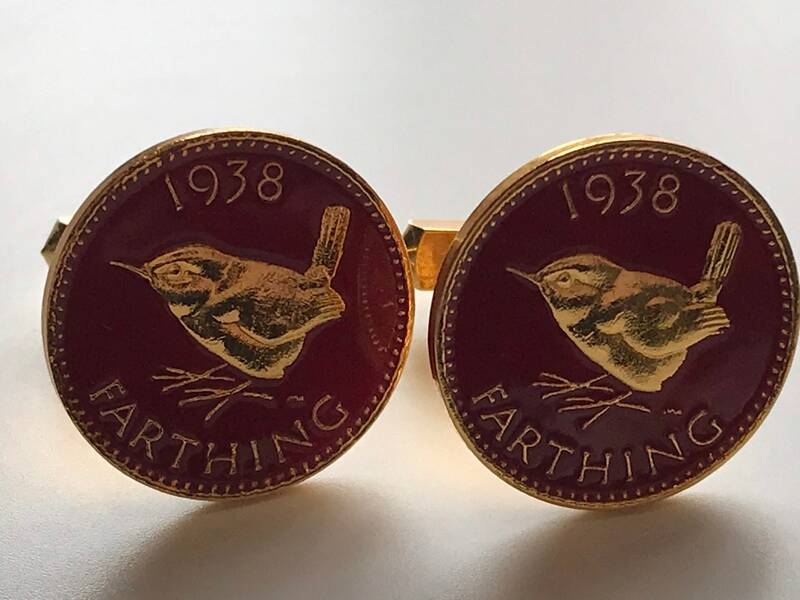 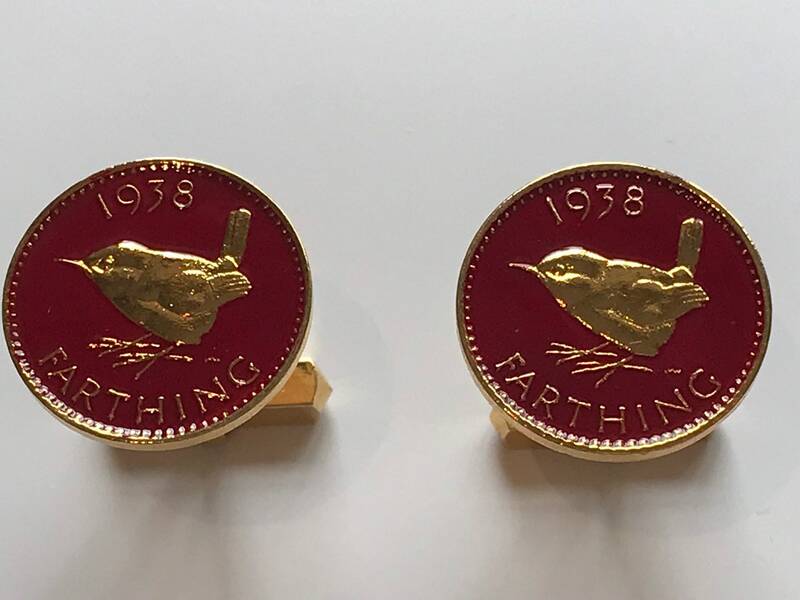 These feature two enamelled gold plated farthings from 1938. 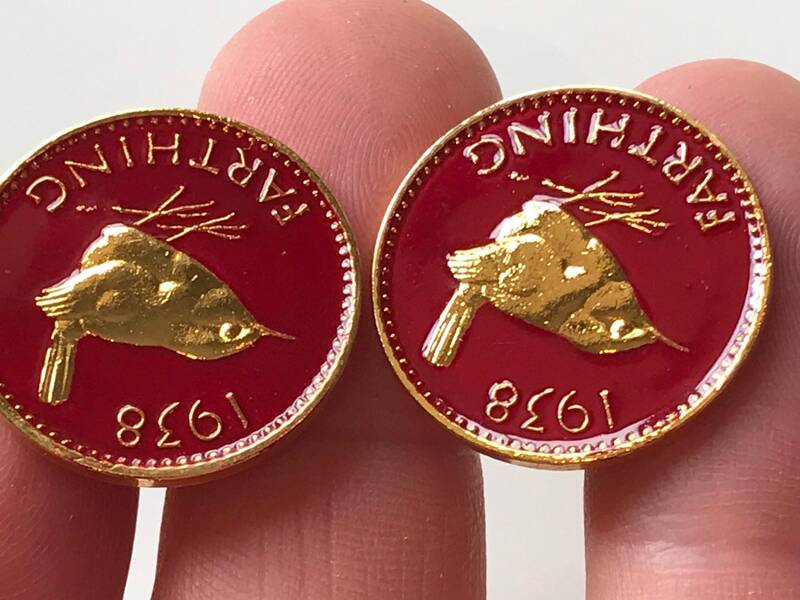 These remain in excellent condition with no damage.